Huge, heartfelt thanks to all those who raised a voice to save Shafqat Hussain. The President of Pakistan has reportedly granted a 72-hour reprieve (originally reported as ‘indefinte’) for the case to be re-investigated. This young man has spent 10 years or more in prison already, since the age of 14 when he was first arrested for the murder of a little boy who had been kidnapped. There are many flaws in the case that led to Shafqat being sentenced to death at age 15 after a confession extracted under severe police torture. He has not seen his parents since he left his village in Neelum Valley, Azad Kashmir to come to Karachi for work after dropping out of school (has a learning disability). The execution has been stayed – for now. It’s a temporary victory for those who’ve fought for his life. The question remains, will the government re-examine the evidence and move to give him justice? And how many more Shafqats languish, poor, marginalised and resourceless, in our prisons and death rows? 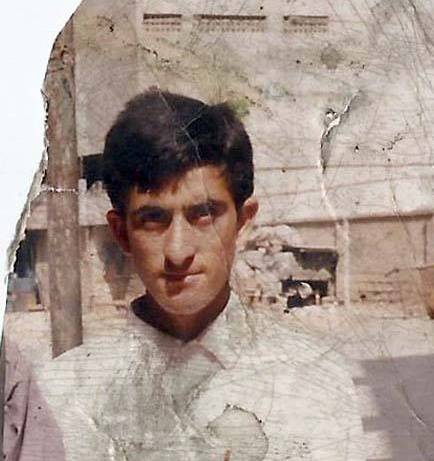 Shafqat Hussain, photo taken before he left Muzaffarabad more than 10 years ago.